FIFA Soccer 97 is the first game in the series to use full polygonal models for its players. 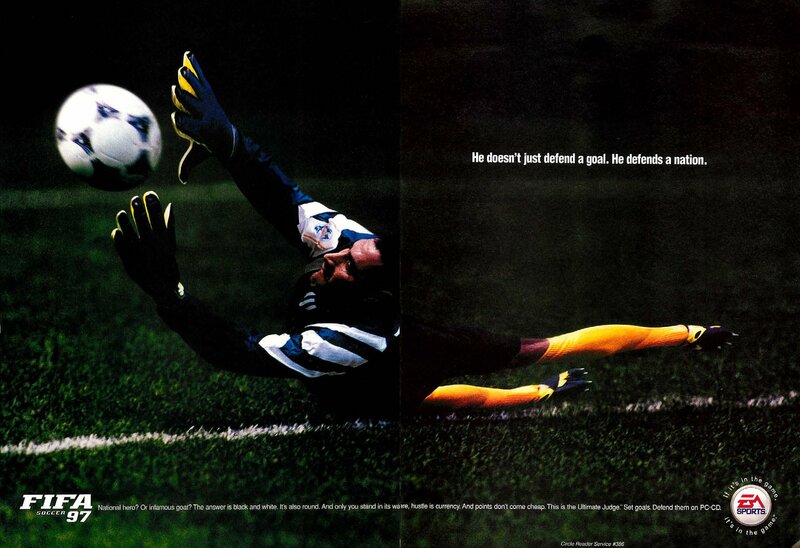 FIFA Soccer 97 also introduced the awesome indoor soccer mode, which sadly was cut by the time FIFA 99 came along. It’s not quite as polished as 96 or 98 – EA Canada seemed to have a few issues with collision detection and animation quality in this release, which lead to FIFA Soccer 97 getting some pretty average reviews from critics at the time.